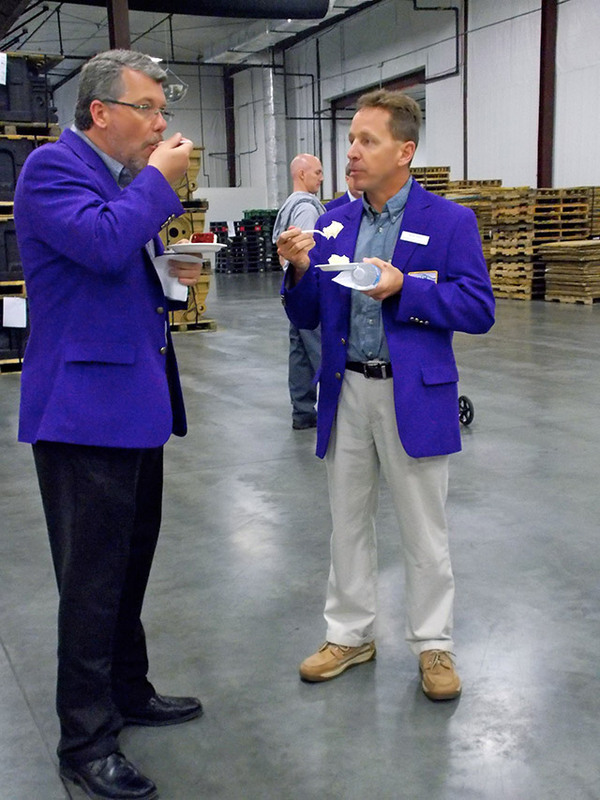 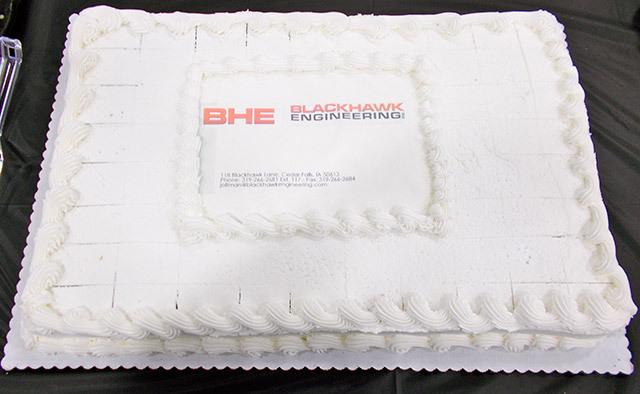 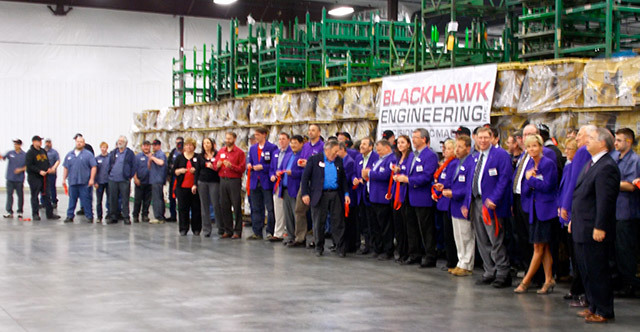 CEDAR FALLS, IOWA (April 17, 2014) – Blackhawk Engineering hosted the Cedar Valley community, customers and special guests at its Ribbon Cutting Ceremony and Open House on its largest expansion in company history on Thursday, April 17, 2014 in the Cedar Falls Industrial Park. 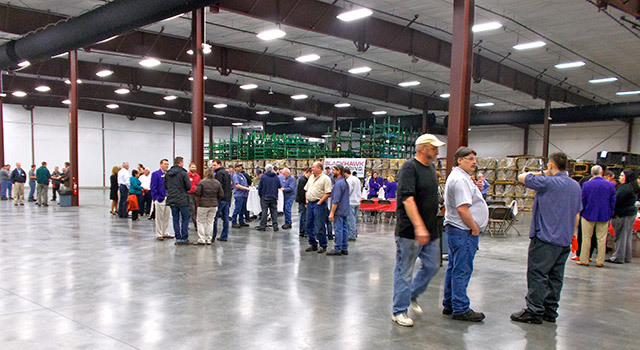 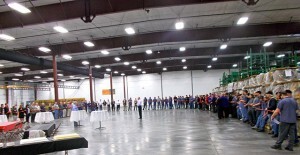 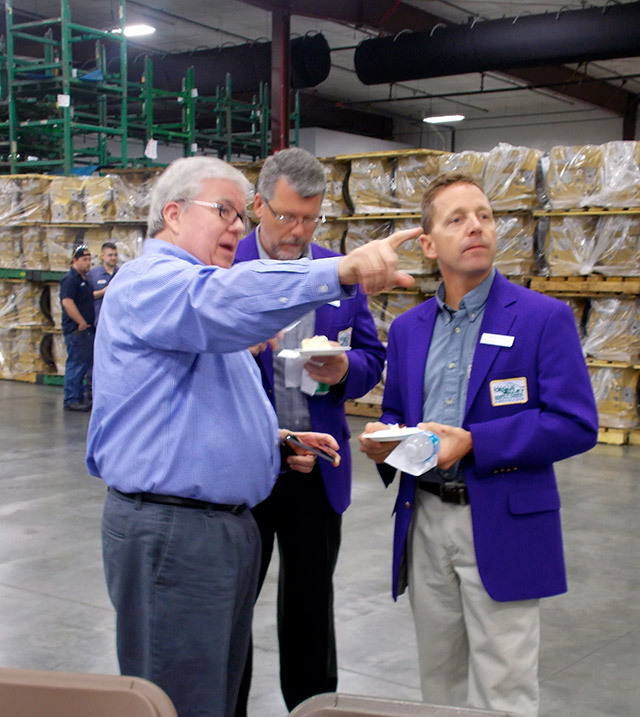 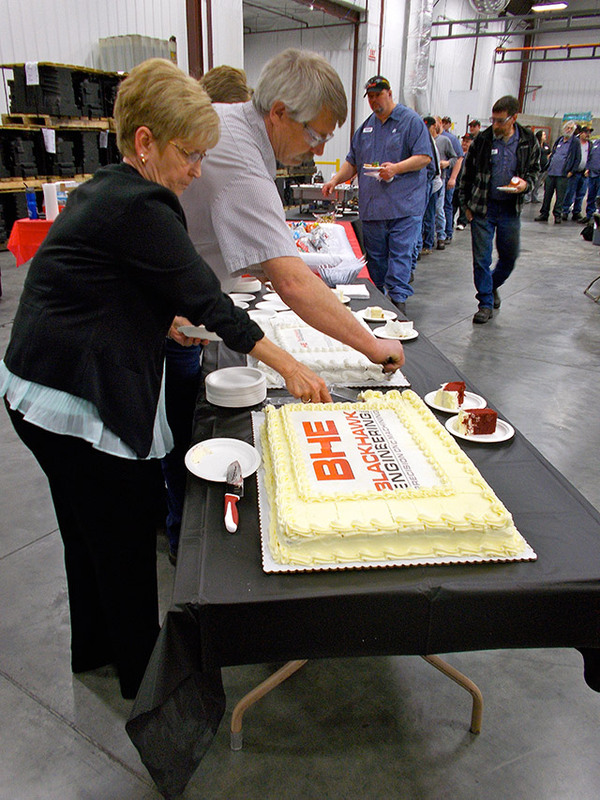 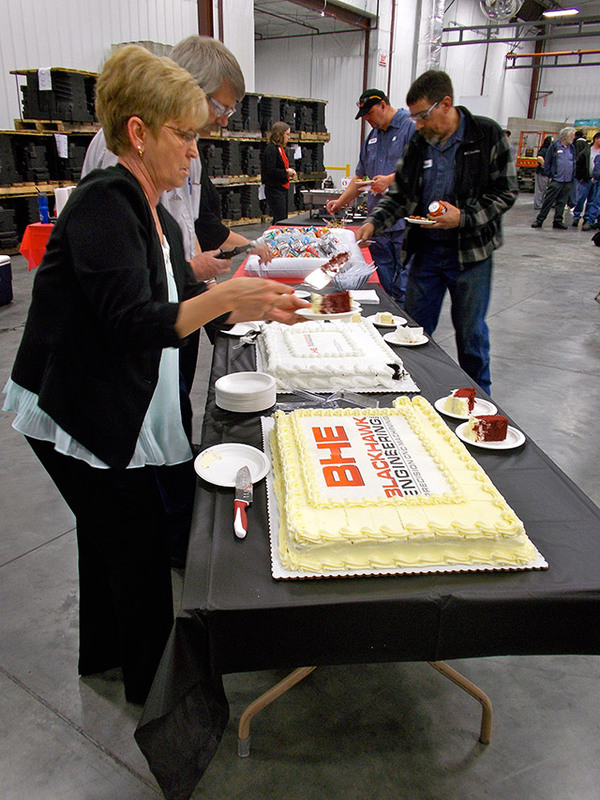 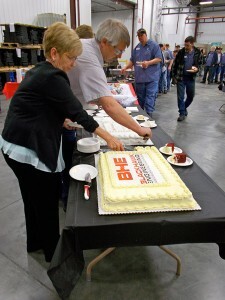 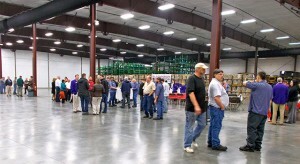 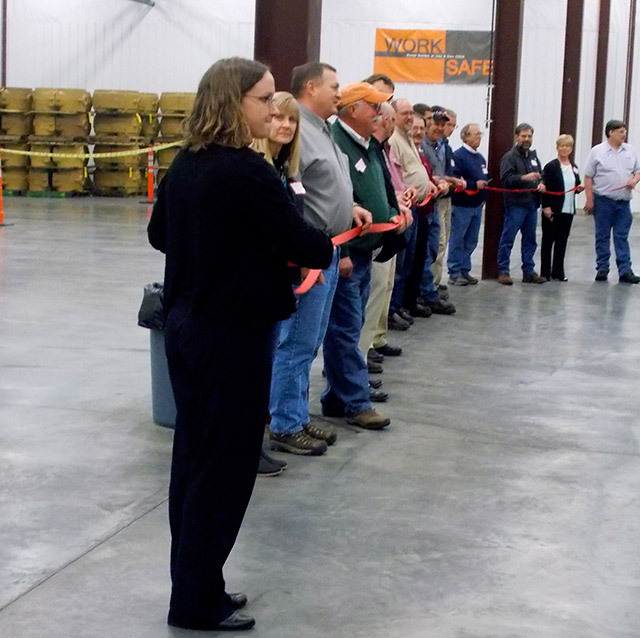 The Greater Cedar Valley Chamber of Commerce led the ribbon cutting, alongside more than 100 BHE employees. 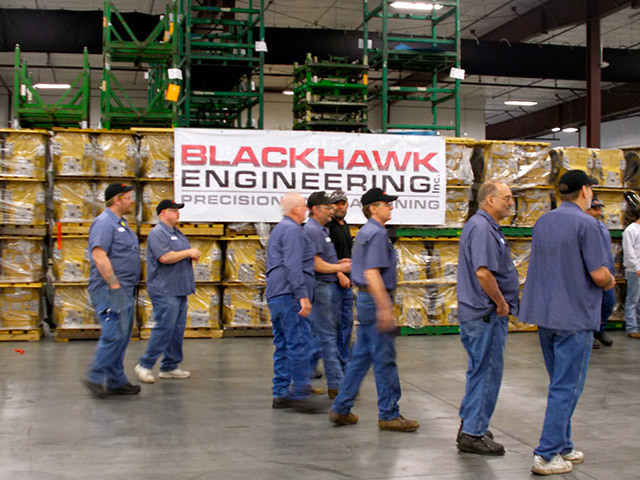 Blackhawk Engineering is a manufacturer of large and complex drivetrain-type parts made primarily from iron castings that are used in heavy equipment, agriculture, construction, mining, and government settings. 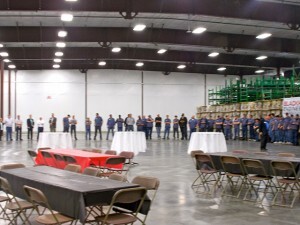 The new 40,000 sq. 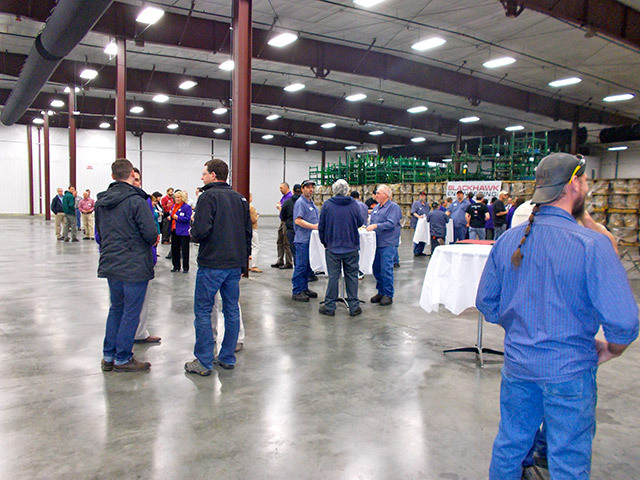 ft. expansion makes room for additional state-of-the-art equipment, expanded employee break room space, upgraded employee locker rooms, additional parking spaces and three new truck docks. 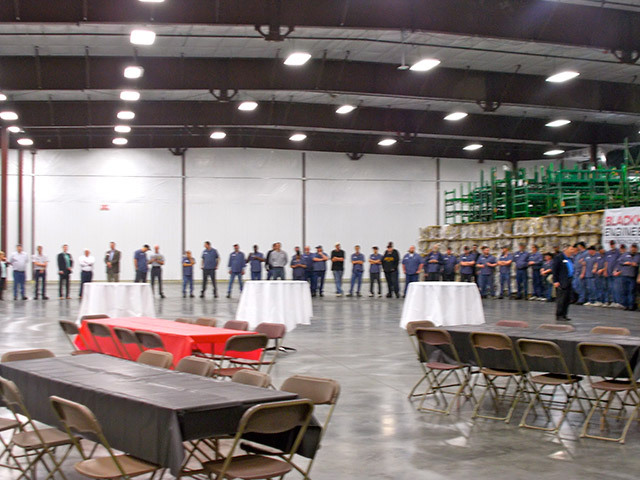 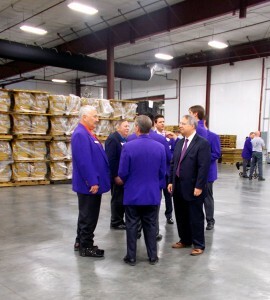 The new facility is air conditioned and continues to provide a comfortable working environment for all employees. 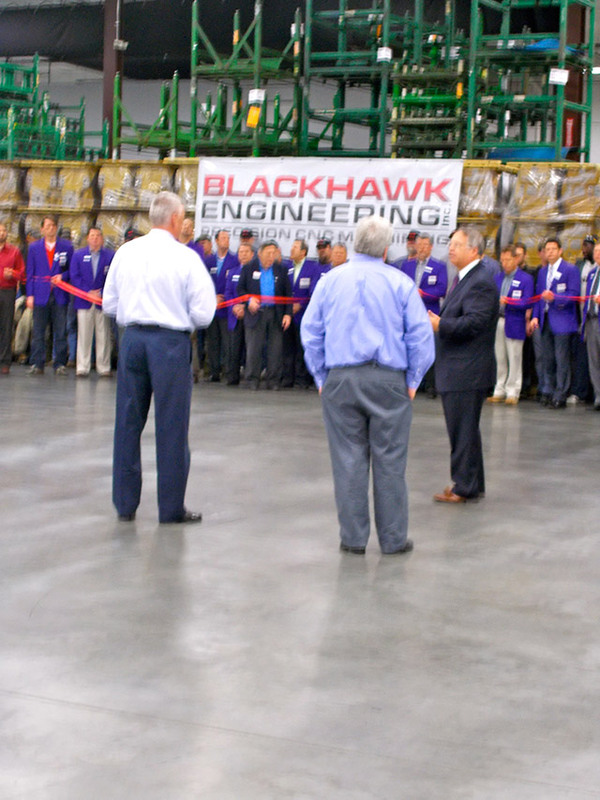 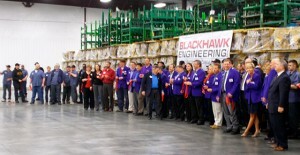 As part of the $3.5M expansion, Blackhawk Engineering invested in four new 630MM horizontal machining centers which will allow the company to process current products more efficiently. 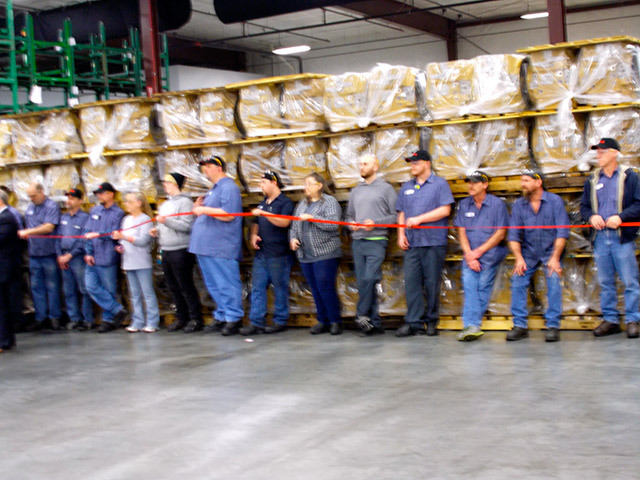 The additional capabilities of the new equipment will further enable the company to process a variety of materials that provide opportunities to further expand its customer base. The company has been actively recruiting for open positions and has now completed the first wave of new hires, hiring more than 16 qualified individuals. 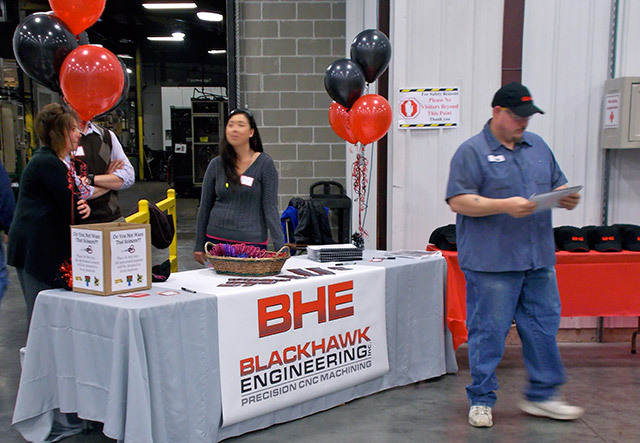 Additional career opportunities will continuously be posted on the company’s newly-updated website. 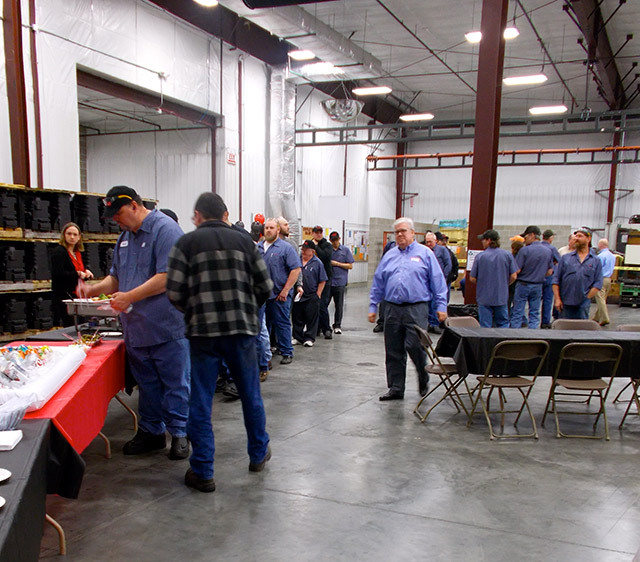 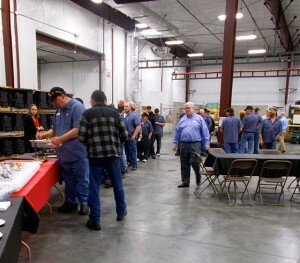 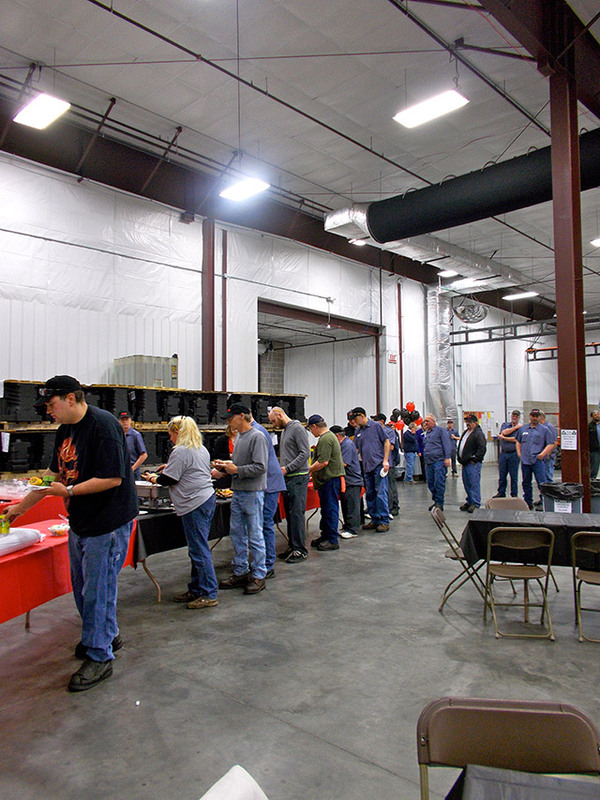 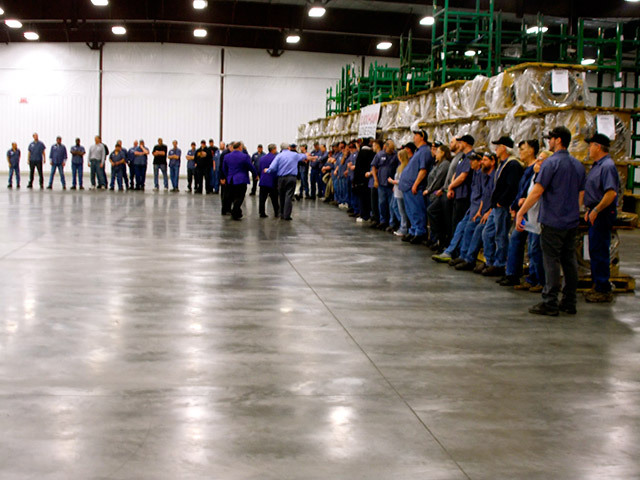 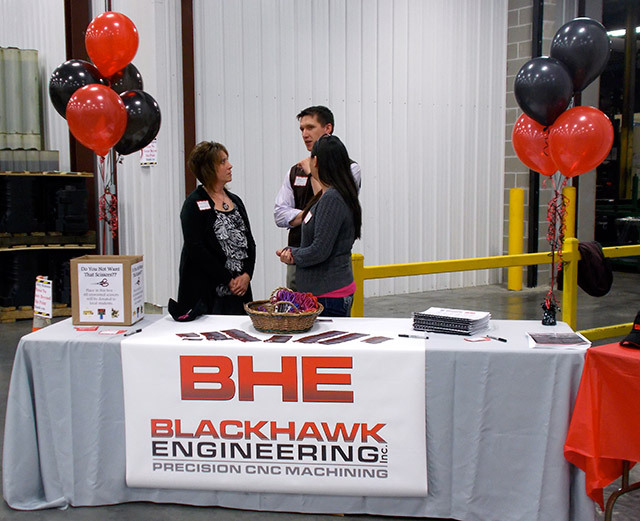 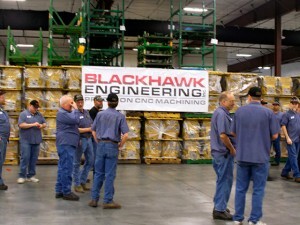 Blackhawk Engineering has been serving the Cedar Valley community for more than 40 years. 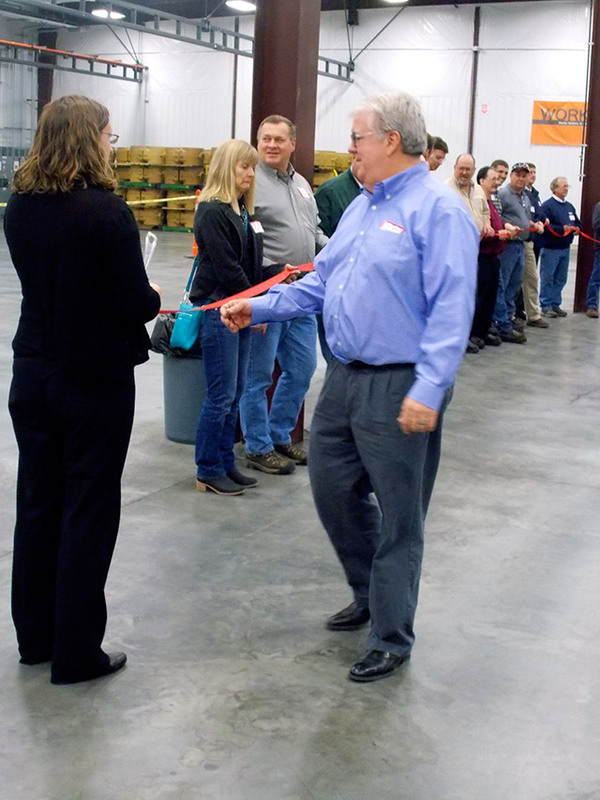 “We have a lasting legacy of being good community stewards and believe our past recruitment and expansion efforts coupled with this latest expansion are ways we show our commitment once again,” said Oltman. 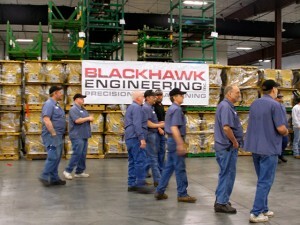 Blackhawk Engineering, founded in 1974, is a privately held company and a subsidiary of EXX Inc. 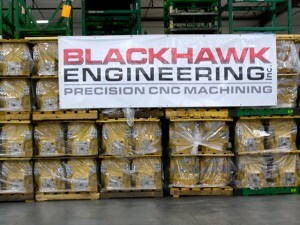 The company began by designing and building tooling, dies, and special machines. 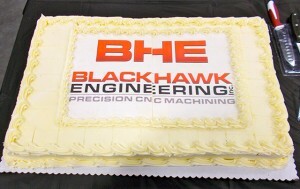 Over the course of 40 years, Blackhawk Engineering has expanded and diversified to provide customers with the best production precision CNC machining services available. 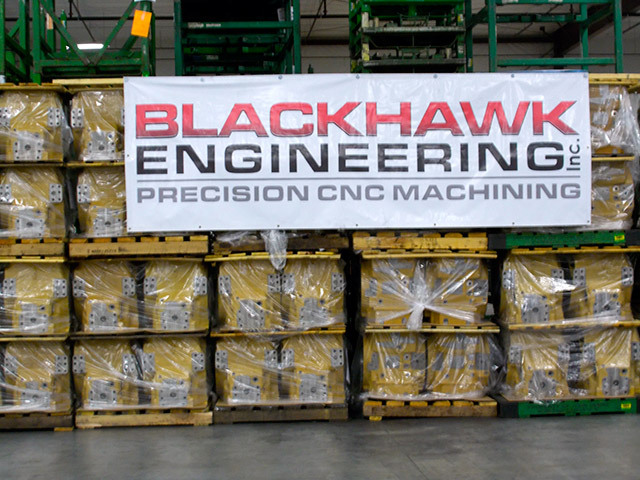 Blackhawk Engineering is one of the Midwest’s leading contract precision CNC machining facilities for tight-toleranced, multiple-sided parts. 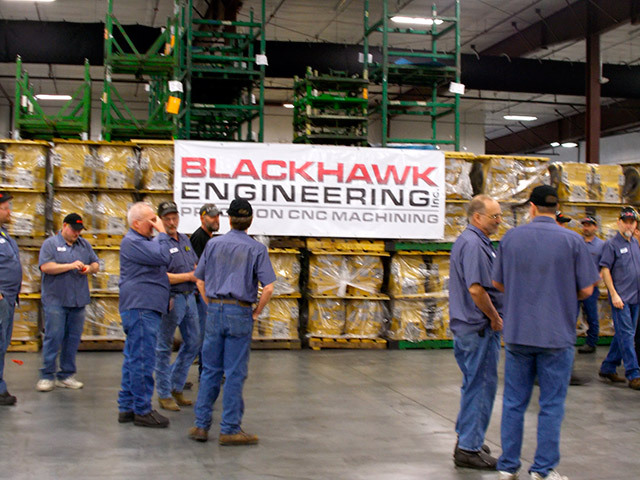 Blackhawk Engineering received the Continued Investor Award in 2012 from the City of Cedar Falls and Cedar Falls Utilities. 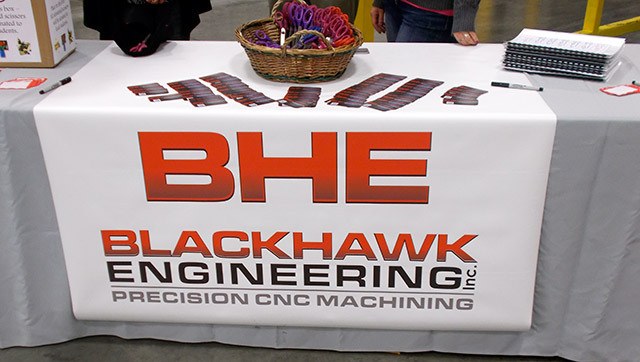 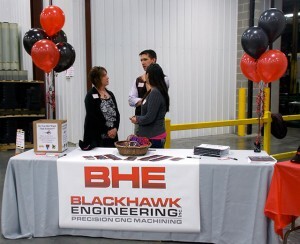 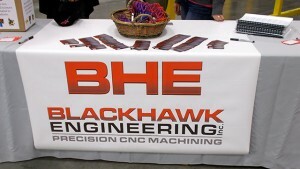 For more information, please visit www.BlackhawkEngineering.com.